I had never really heard much about this place, but when we were at Navarre for breakfast one day I looked down and saw this crowd, waiting to be seated, and we discovered it was City State Diner. I figured I should see what all the fuss was about. The beauty of this place is that they are open on weekdays early, so we took advantage of that over the weekend crowd. We didn’t have a wait, we just walked right in. 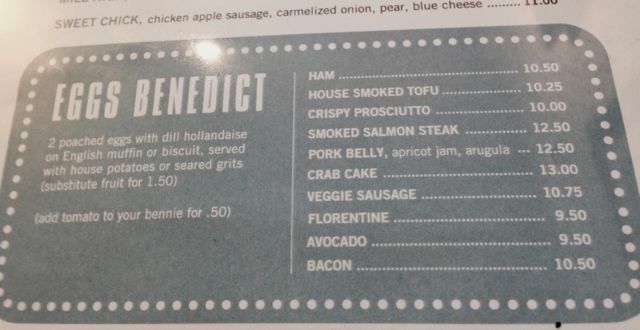 I knew this place had a lot of Eggs Benedict to choose from, but what I didn’t know is that there would be THAT many. Of course I go for the most creative one. The one with the oddest ingredients, which I was assured was the best one. The Pork Belly with apricot jam and arugula. I always love the sweet tucked into an Eggs Benedict, I have had something like this before and thought it was intriguing. Pork belly can be good at one place and not so good at another, so it’s always a gamble. The cut of the pork belly was good, but it tasted like it had been reheated and I didn’t like that so much. 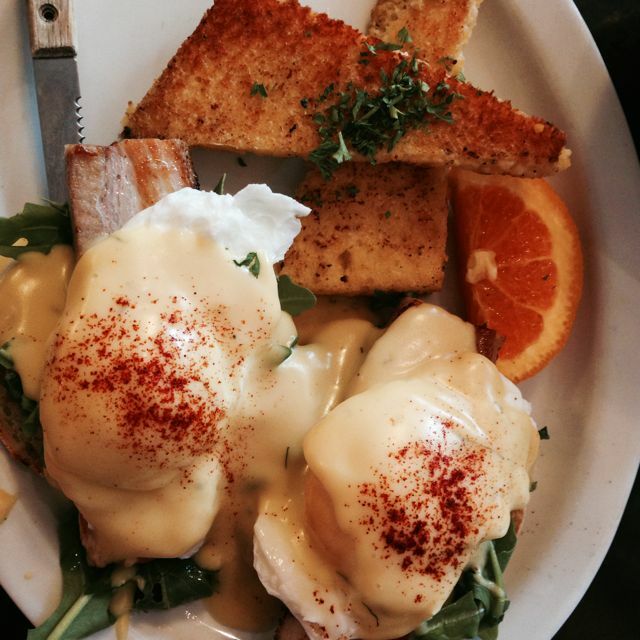 Still I loved the creativity behind this whole eggs benedict and ate the whole thing. 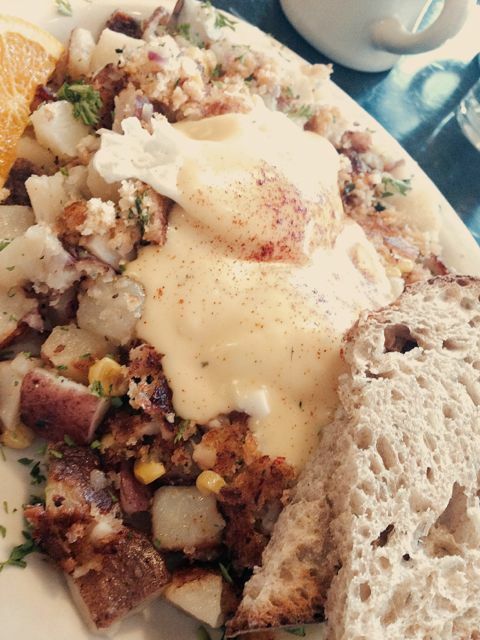 My husband got the Louisiana Crab Hash. The flavors and everything were good and it was truly different than anything he had ever ordered before, but it didn’t have much crab, so that was disappointing, but it was still good nonetheless. They even have outdoor seating. The rest of the menu was pretty typical. Lots of scrambles, pancakes and breakfast plates with combos. This place embodies what most people think of when they are looking for a good, somewhat predictable hearty breakfast. We will be back. There was so much that we loved about this place. It’s easy for everyone to get something that they want and they are open early. They really do have something great going on. I would just suggest getting there early and maybe avoiding the weekend crowds. And yes….you will walk away happy. Atmosphere is a diner complete with worn out leather booths. The feel of the place was very homey. Prices were $.9.50-$12.50 for the Eggs Benedict. Service was really great. Our guy was very helpful. They do have coffee out to serve yourself if there is a wait. 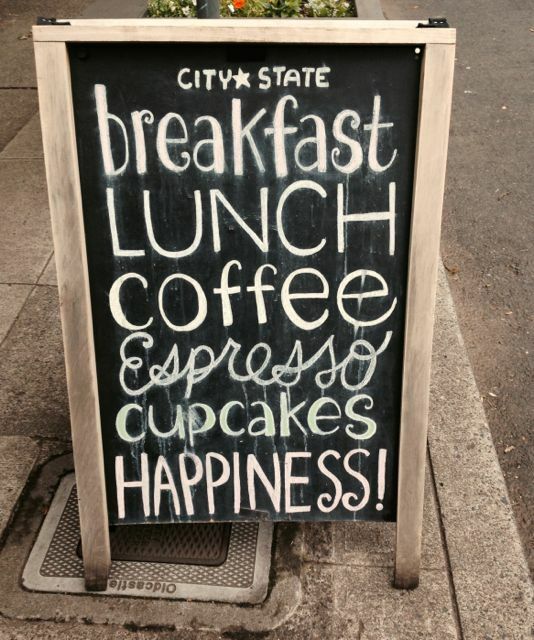 Other than that your typical morning drinks. 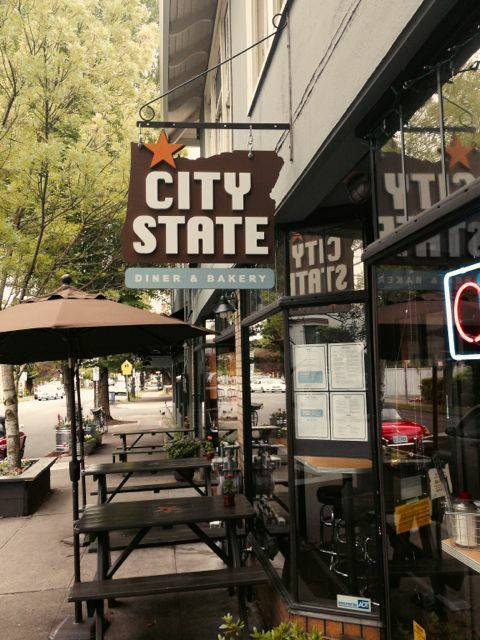 City State Diner is located at NE 28th and Burnside.